American in Overland Park, KS Designed by Carpenter Collective. This is a great set of menus with fairly straightforward layouts but accentuated by fun illustrations and a quirky onion logo. The laser-etched board is nothing new but it is beautifully done and the gold bolts provide a memorable detail. 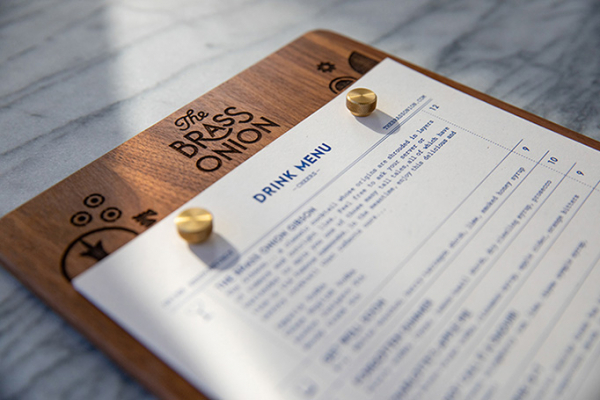 Visit The Brass Onion.